Since 25 May 2018 the General Data Protection Regulation (GDPR) is officially applied in all EU Member States. We are delighted to invite you to attend our next Women in Security and Privacy (WISP) event, supported by our host EY and the International Association of Privacy Professionals (IAPP). Careers in the data security and privacy world are diverse, and often come with a twist. Our panelists will share key insights about their respective career paths, inspirations and successes. You can also sign up for updates on upcoming events and other WISP news here. We’re sold out at the moment, but will let you know if waitlist space frees up! Thank you, we can’t wait to see you there! Join WISP and our sponsor Castlebridge for an evening to learn about and discuss Data Ethics, grow your network and find a mentor. - in addition, you'll have the opportunity to join a live session of WISP's peer-to-peer mentorship program, "Tandems". Michelle is a pioneer in the field of Privacy Engineering and Ethical Data Management. She is passionate about data privacy and protection, and for building better technology that matters. She works closely with dreamers at all levels and in businesses and organizations at all stages to support the combination of policy, practice and tools. She is the co-author of "The Privacy Engineer’s Manifesto" and hosts Cisco’s Privacy Sigma Rider’s podcast. Katherine is Chief Education & Ethics Officer of Castlebridge, and co-author of "Ethical Data and Information Management: Concepts, Tools, and Methods." Venue: The Dock, 7 Hanover Quay, Dublin 2. 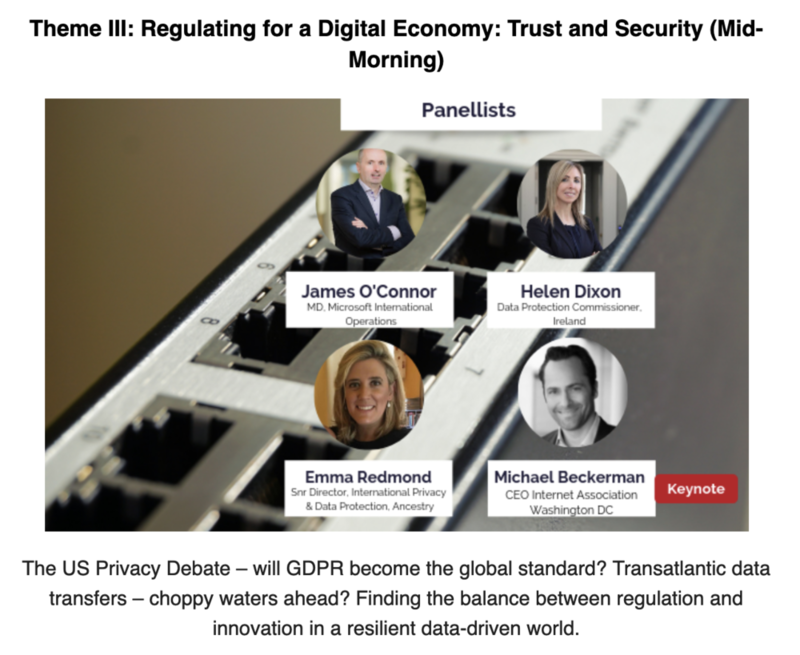 The panel will be chaired by Jeanne Kelly, Partner, Technology, Privacy and Contracts, LK Shields, and the event will be co-hosted by K. Anna Vaccari, WISP co-founder. If you have any queries or would like to extend to a fellow security or privacy colleague, please feel free to forward this to them. Please RSVP to Aeveen – [email protected] by the 25th June.